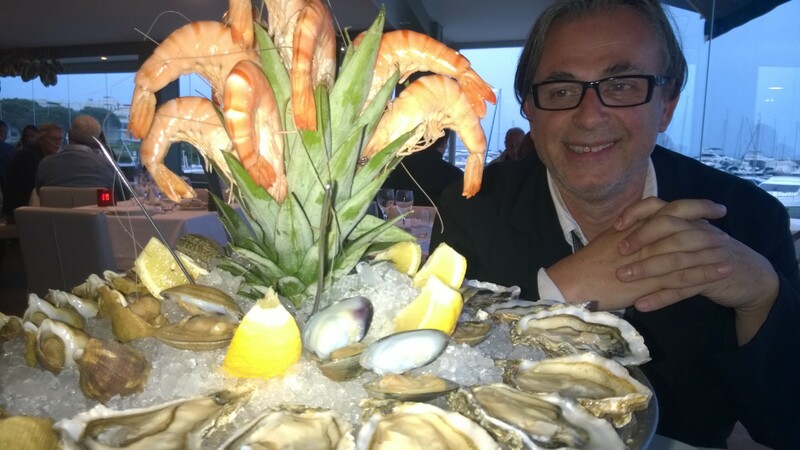 Like entertainment and movies are imitations – intentionally as these are wonderful creative or anticipations of real stories – many of the restaurants in Cannes are fake, too. But in comparison of films the concept of good, healthy and exciting food must be real. 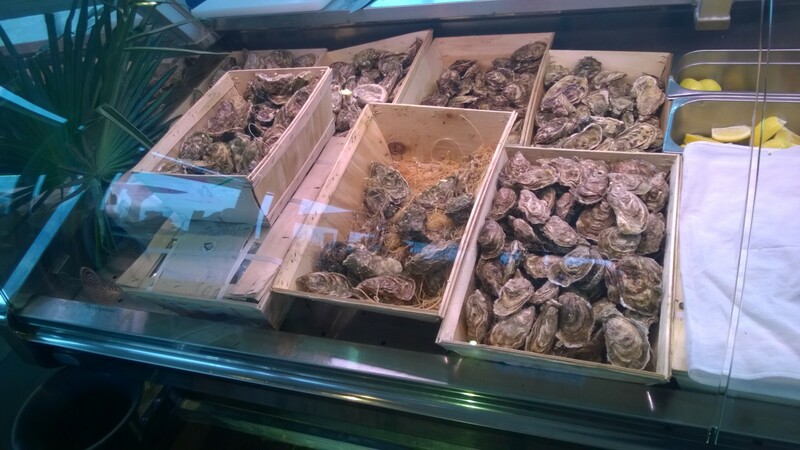 How many of these seafood stores and show boxes of bad restaurants along the harbor of Cannes making so much money just because of great decoration and an conniving master of entertainment selling boring food as something extraordinary. This is so much like selling a movie! 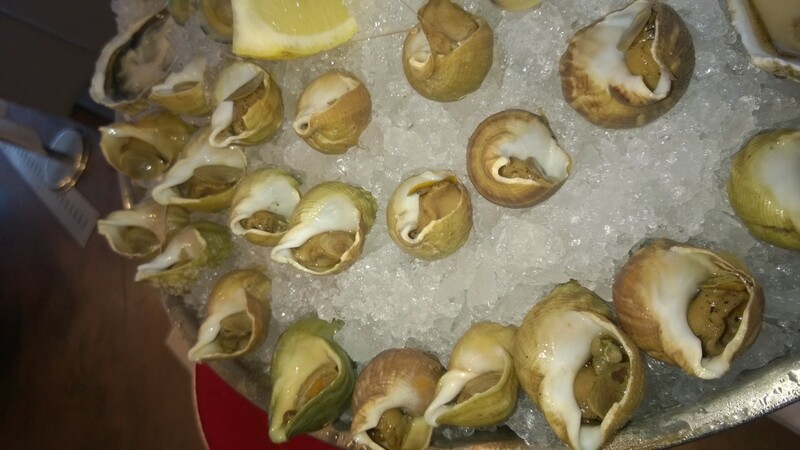 Of course everyone needs to survive being in Cannes and I shouldn’t spoil my relationship to all owners of Cannes restaurants as there are some tolerable once and even some selected good ones like Cave Croisette (https://avdwineandfood.wordpress.com/2015/03/06/bistro-and-winebar-cave-croisette-cannes-2/). Anyhow, I always like to leave this stressful little city Cannes into any direction and to discover some other places: less gentrified, more solid and run by passionate people. And of course I wouldn’t write about these places rather if I have a good experience. If you leave Cannes to the west some kilometers later you will enter Mandelieu-la-Napoule directly at the sea. There is a port and right there is the Restaurant La Brocherie. First impression to everybody: You are welcomed! The host, probably owner or at least manager of reminds you even you are visiting this place perhaps only twice or three times. Sitting is very nice as you overview the harbor and sea. During weekend probably and some other special days a reservation is recommendable, but I visited it also sometime without a reservation as there are enough places out- and inside depending to weather conditions. 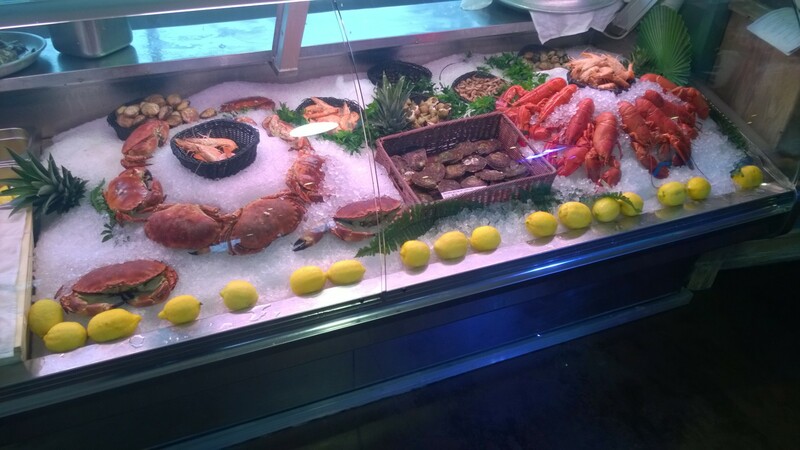 The restaurant offers in particular fresh sea food, fish but also meat dishes. Aside of a selection of sea food for an appetizer or a tasty fish soup my suggestion would be to ask the waiter about all fresh daily fishes and select one. Actually if you are not only one or two but in a bit larger group even better as then you can take one bigger exemplar just for all of you. First thing you get is some strong bread and some butter together with a little cold tomato soup as a welcome from the kitchen. The selection of sea food is rich and you may get delicious sea slugs or snails which are rather seldom. Except shrimps almost all sea food is either really local – although from local farms – or it is clearly named in the menu as for instance shrimps came from Madagascar this time. This is appreciably honesty. 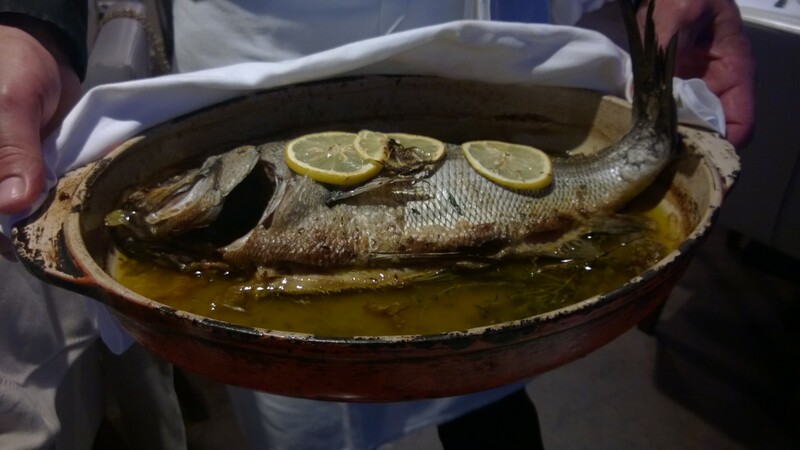 Among fresh fishes some are even from the Mediterranean Sea which you should rather order as they are daily fishing. Seafood of course is served raw. The fish you choose will be prepared as you like, but in the most of the cases fried or steamed. The typical and obligatory side dish is mash potatoes with a flavor of truffle and artichokes. Both dishes are in my point of view much too heavy and rather superfluous: being thoughtlessly it can congest your stomach as all butter, oil and whatever is attached to it fills you up. I am not a big fish eater, but La Brocherie is a place I almost all time select a fish. As at every similar place like this you would not find any other wine than French. Although I don’t know too much about French wine in general this place has a focus on regional wines which means Coté de Provence. The proposed wines aren’t too expensive; usually you can get a bottle between € 28 and perhaps maximum € 70 if you don’t take some wine from Burgundy or Bordeaux. So fare I always had some satisfying wines if I asked the semi-professional sommelier of the place for reasonable prices. The selection of wines does certainly contain rather interesting wines and there is a kind of concept behind. Another thing I really enjoy about this place is its local integration if I can say this like this. Most of the guests seem to be from the little town Mandelieu la Napoule or closer neighborhood. Real local people are rather rare in this area as everywhere are hotels and apartments for rent but also very many private summer and vacation estates. The marine is filled up with private boats and ships; therefore don’t be astonished if you have some “foreigners” at this place as well. This said, it is a very nice, French sea food and fish restaurant. Such a refreshment after Cannes arrogant restaurants stuff and so close to the Croisette . Less than 15 minutes away from overcrowded Cannes and you find yourself in a pleasant place surrounded by simple and nice people. Great atmosphere even better food ( fresh and tasty )good wine and friendly company. What else to ask during Film Festival?